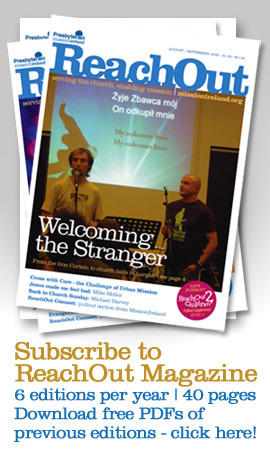 Welcome to the first E-zine of Transformission: The Missional Church Network. This E-zine picks up the vexed question of how to bring some existing elements of church life to a necessary close. This is one of the big issues arising from the Mission Planning process in which many congregations realised they could not take on anything new because they were already fully stretched in just maintaining everything they already did. In many cases there was an awareness that something had to give but bewilderment about how to bring about the hard reality of closing something members of the congregation cherished. Ongoing effectiveness in mission in a rapidly changing world will always demand difficult choices. Failure to make them in a wise and timely way will result in us being left behind. The basic pattern of the Christian life is dying to live. So, how might we bring about good endings in church life to enable mission? What follows may not be the last word on the subject, but it provides a few pointers with which to start. Perhaps you will find it useful as a guide to personal conversation, a way of opening up a discussion at Kirk Session or the basis of an article in your Church Magazine. To read the coplete ezine click the link below.